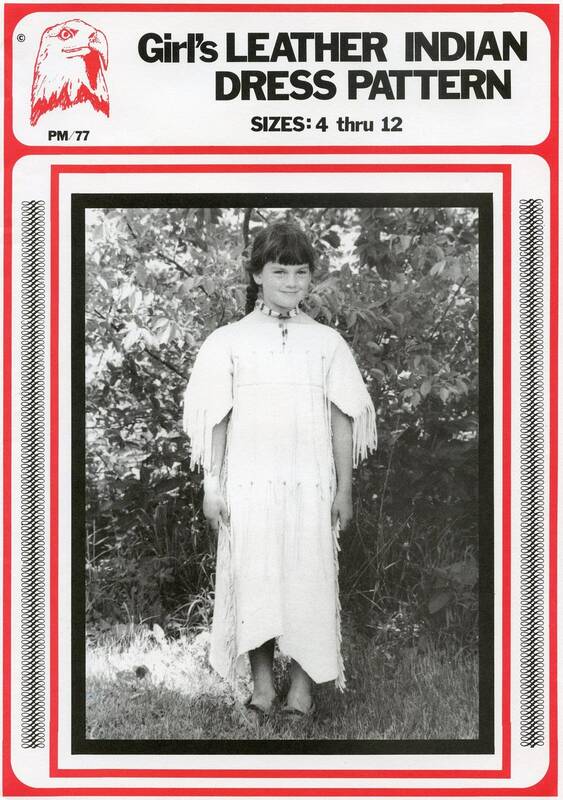 This three hide dress is typical of the plains Indian Dress worn by the women and girls of many Tribes. It may be decorated with beadwork, quillwork, shells, coins, fur, fringing, ribbon, tin cones and trade cloth; for everyday use it was worn without adornment. 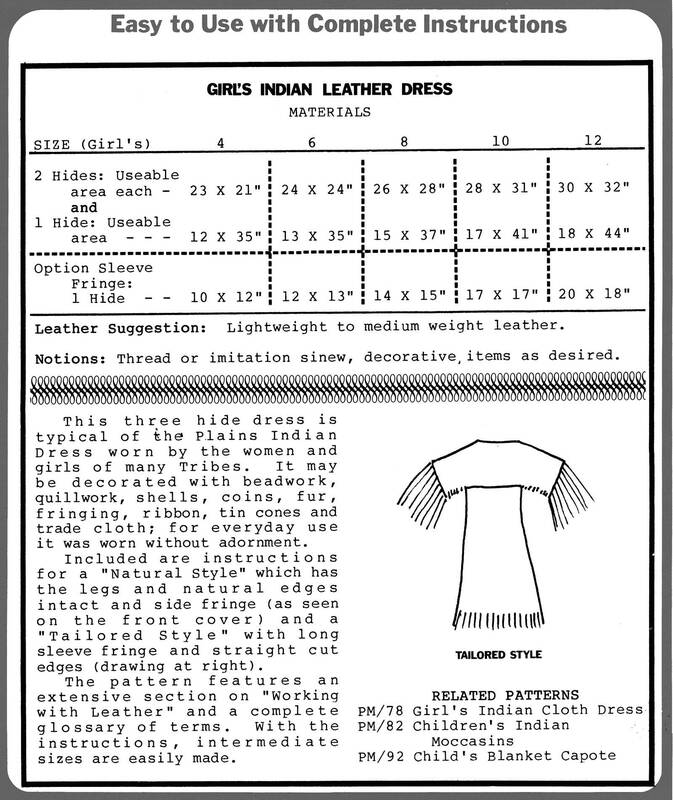 Included are instructions for a "Natural Style" which has the legs and natural edges intact and side fringe (as seen on the front cover) and a "Tailored Style" with long sleeve fringe and straight cut edges (shown in second image at the top of the listing). The pattern features an extensive section on "Working with Leather" and a complete glossary of terms. With the instructions, intermediate sizes are easily made.